If you spend any time watching television and flipping through the channels, you might come across specials on HGTV and other networks discussing the latest kitchen trends. 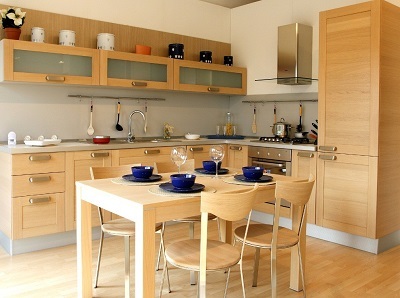 Those trends can help you transform your kitchen, make it more functional and create a cooking space that you’ll love. Before meeting with a home improvement expert in Northampton, take a look at some of the newest and hottest kitchen remodeling trends. 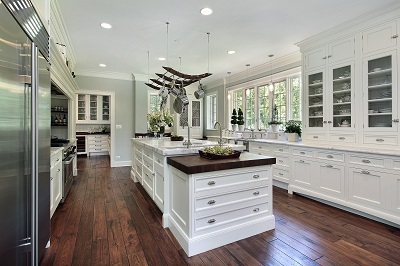 Though cabinet trends come and go, wood cabinets tend to remain the most popular option. While some manufacturers now produce RTA cabinets, also known as ready to assemble cabinets, which use plywood components, hardwood is still the best option for your kitchen. Durable handmade cabinets that you purchase right from the manufacturer are sure to retain their value. Decorating and developing the layout of your nest is certainly exciting, but there’s one room that’s often overlooked during the maelstrom of moving in. When it comes to the bathroom, a lot of people opt for simplicity. After all, it is a place where the unspeakable pot rests, and most people aren’t exactly clamoring to clean their porcelain thrones. However, it’s important to remember that the bathroom is also an essential area where you can let go of your brambles and loose ends. There’s nothing quite as relaxing as taking a hot bubble bath after a grueling day. For a planned evening out, the bathroom suddenly becomes a den of preparation, where one scrambles to paint her face or swipe her hair into the most pristine curl. Your home’s kitchen not only stores food, but also cookware, appliances, and other specialty gadgets, making it an eternally perplexing place to organize. Give your kitchen a breath of fresh air and make cabinets and storage among your top priorities in remodeling this space. Fortunately, there are numerous ideas and inspirations for kitchen cabinets and storage, from conventional to not-so-conventional ones. A lot of homeowners are finding, and even creating, innovative ways and organization techniques to help them organize their kitchen and store their utensils and appliances. Utensil drawers, for example, are a clever and convenient built-in storage for all your serveware and silverware. For those awkward corners on your kitchen, installing a corner drawer, which runs deeper than most drawers and gives a bigger storage space, is the best idea to implement. 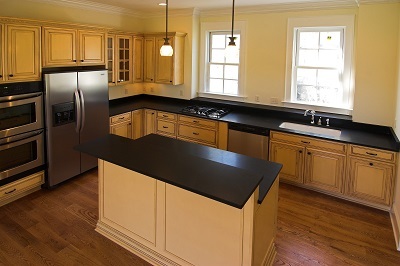 A recent survey conducted by design website Houzz shows that an average American kitchen lasts for 16 to 30 years. Seeing that your kitchen can last for decades, you can design one that will never go out of style and still cater to everyone at home by integrating elements that are both classic and simple. What exactly are these classic and simple elements that you must have for your kitchen? Everyone knows that when it comes to kitchens, white is always the best option. You can opt for white cabinetry, as 49 percent of homeowners do, done in a simple and functional style. White-colored backsplash, or the bit of tiled wall above your sink, is also well-favored by most people, especially when it’s made of subway tiles. Northampton homeowners thinking about how to add value to their homes should consider the most straightforward approach: renovation. If you’ve got the funds, remodeling the rooms in your house (or even adding an expansion or two) can seriously raise your dwelling’s market price. However, not all remodeling efforts are equal. Some people think that spending a few hundred dollars for a new paint job is good enough, but if you really want it done right, you’ll want to invest in a major remodel that will catch people’s eyes and be well worth the price. 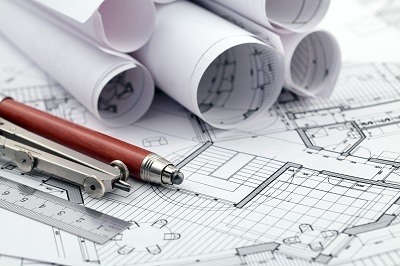 Here are a few things you should consider in your next project. 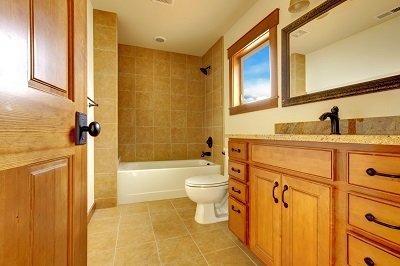 Northampton residents can benefit a lot from having remodeling experts like Valley Home Improvement, Inc. take a look at their bathrooms and perform some renovations. Among these advantages is that they can have better bathrooms where they can relax. This is especially important as a lot of people nowadays think of bathrooms as places to relax and to while away the troubles of the day. However, bathrooms can be more than that. Luxury add-ons can be a great investment, as you can get back most of what you spent making your bathroom look good when it’s time to sell your house. Here are some design ideas that you can consider before starting the upgrade project.